Deciding whether or not to paint your home is a big decision. It requires careful consideration but can also bring about a big transformation—with minimal expense. If you’re still sitting on the fence about painting, maybe this blog will help push you one way or the other. Can you pick just one color? Arguably this one of the most difficult parts to painting. Do you want to go with something suitably neutral or use this color to make a bold statement? Is it sufficiently different from the paint color you had previously? How do you know what it’s really going to look like on your walls? While the other answers are a matter of personal taste, this one we can help with. Although those color strips are useful for creating palettes, if you have a few different paint options you’re torn between—ask for samples. These small portions of paint are generally inexpensive and can be swatched directly on the walls to get the full effect. You’ll be able to see when it’s wet, when it’s dry, during the day, at night, and with multiple coats of color. That way, you’ll know if it doesn’t work before you buy an entire bucket. Now, if your partner or roommate doesn’t agree with your decision…well, that’s a topic for another blog. 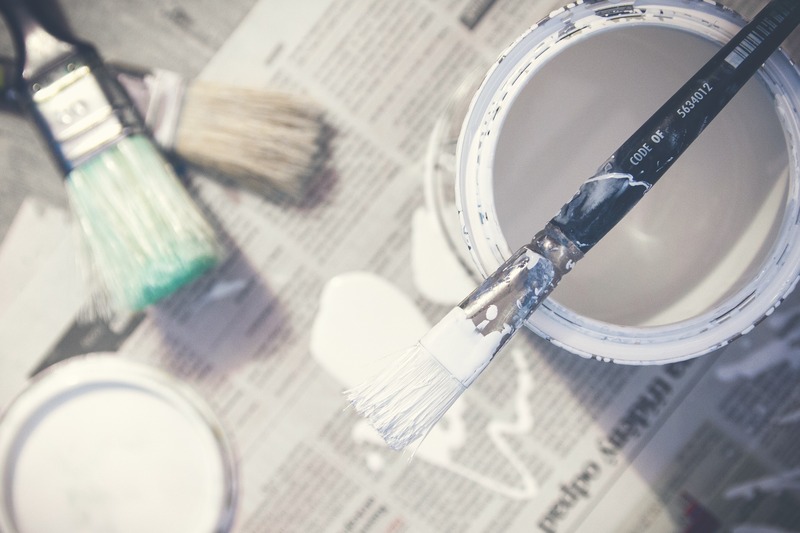 Although painting is a relatively simple home remodeling project—in comparison with many others—it still takes some time. Apart from deciding on the perfect color, you then have to clear the desired room, prepare it, and roll away. Many people skip the important step of wiping down walls, but that makes such a difference. Not only does it look more professional without those bits of dirt, hair, and other debris showing underneath your shiny new layer of paint. But also, it helps the paint to adhere better and preserves your hard work in the long run. Don’t forget to fill existing holes, spackle, and sand. As well as tape off those areas you don’t want painted the same color, like the trim, windows, electrical outlets, etc. Depending on how large the room is—and how much help you have—it really shouldn’t take more than a couple of days. Will it make the rest of the space look shabby? In home renovation shows, painting is just one part of the process. It’s the backdrop that offsets new floors, new appliances, and new furniture. But what happens when you put a new color against all your old furnishings? Well, it depends. Painting your walls doesn’t have to set off a chain reaction of home renovations. But a shiny new color can make you see your existing décor in a new light. Don’t let this keep you from switching things up. Just bring in the professionals to handle the rest. As part of a larger remodeling project, you can get involved and keep the budget in line by handing a lot of the painting yourself. Then our team can take care of everything else. Whether it’s your kitchen, your bathroom, your basement, or beyond. New paint is just one way to personalize your home. Let’s get started! This entry was posted on Wednesday, January 30th, 2019	at 12:46 pm	. Both comments and pings are currently closed.